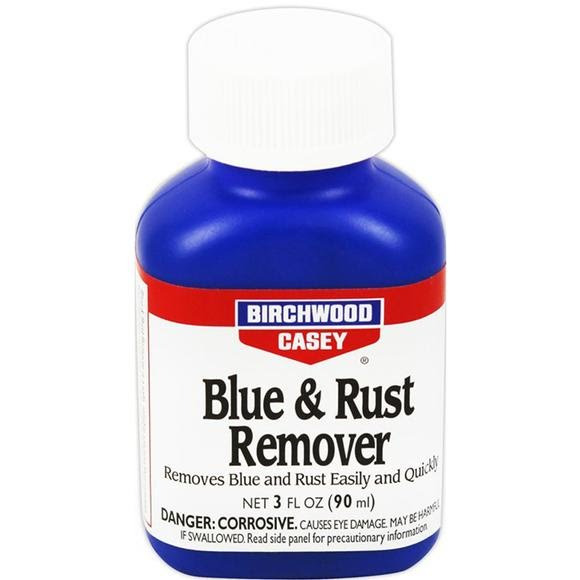 Birchwood Casey Blue and Rust Remover is a safe, reliable solution that removes rust and old blue easily and quickly without damaging base metal. Safe for removing old finish from firearms, muzzleloaders and antiques. Also excellent for removing rust from tools, gauges and precision instruments. Blue and rust removal is a necessary step before reblueing or browning.